Teaching active-duty military students using distance education formats may present both challenges and opportunities for instructors. In many ways, the active-duty military student is a student just like any other adult student. They juggle work duties, family, and school. Military students also have unique challenges associated with where they work, work schedules, travel, and contract requirements. These challenges can impact the learning experience. Our university, the University of Maryland University College (UMUC), serves working adults and non-traditional students in Maryland, the United States, and overseas. For more than 60 years, UMUC has worked with the military services to provide educational opportunities for military learners. Today, UMUC offers distance education, including onsite and/or online courses, at more than 150 military installations and locations on four continents, including more than 25 countries and territories. UMUC’s strong online programs also enable military students to continue their studies seamlessly as they change duty station locations worldwide. Thus distance education is extremely helpful for the academic success and degree completion of active-duty military learners. Flexibility is a key consideration for military students, with distance education, particularly online courses, providing the flexibility needed by non-traditional adult learners (Kolowich 2010). Teaching and learning of military students may be enhanced by: (1) familiarizing ourselves (faculty and administrators) with the military culture; (2) adapting the distance education experience to enhance learning for military students; and (3) applying adult learning principles to discipline-specific content (i.e., sociology and social sciences) for military learners. Here we share tips and “best practice” guidelines for effective teaching and learning of the military undergraduate student, drawing on the experiences of UMUC faculty who teach using distance education formats. What Aspects of Military Culture Affect the Classroom? Understanding the military culture can make a difference in the classroom. Significant aspects of military culture include the following: discipline and duty; well-defined hierarchy; center on mission; hard work and high stress. Discipline and duty form the foundation of military life; to be successful, military personnel must do what is asked of them and do it well. Transferred to the academic classroom, this means that military students are respectful, follow instructions, and observe deadlines. The U.S. military has a well-defined hierarchy and chain of command. 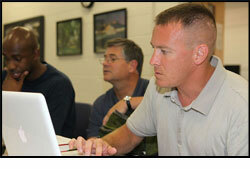 As adult learners, military students tend to be very motivated since grades may make a difference in their promotion. Higher education may support their movement up the ranks. The military culture is mission centered, where action is based on specific goals. Military student success in the academic classroom thus is enhanced by providing a structured format, clear and specific goals, with class activities mapped to those goals. Active-duty military frequently have heavy demands on their work schedule, with those in combat zones under particular stress. Being aware of the demands that military students face is important for instructors. Instructors should demonstrate flexibility, maintain academic rigor, and expect hard work from the military learners in their courses. Instructors also should familiarize themselves with specific aspects of military culture, including the military language (i.e., terminology and acronyms) as well as basic structural organization. Throughout the online class, instructors need to provide consistent, regular, encouraging, and constructive feedback to military students; students need to know where they stand in the class; therefore, regular feedback is essential. Instructors should also learn more about the educational and professional backgrounds of their military students, and be prepared to provide referrals to online support services and resources available at the university. 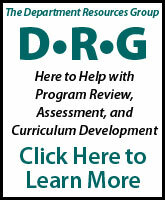 Strategies for student engagement, retention, and academic success of military students in sociology must address the unique needs of these adult learners, applying an “andragogical” approach that stresses the adult learner’s self-direction, motivation, experience, and practical application of knowledge (Knowles 1980). As adult learners, military students need to find sociology relevant to their own lives, personal experience, and career plans. In introductory and general education sociology courses, instructors should use students’ everyday experiences (e.g., in military training, deployments) as pedagogical tools or examples to illustrate and apply sociological concepts (e.g., social structure, social organization, social roles, social change). Using adult learning principles, instructors should engage military learners by creating assignments and online discussion topics that encourage reflection on sociological concepts and applying real-life experiences. In upper-level sociology classes, case studies relevant to military themes may be used to explore sociological theory, as well as specialty areas within sociology. For example, sociolinguistics is a specialty area that may be particularly relevant to the military student when facing the transition to civilian life. By examining military jargon and speech communities, students can become aware of their own military language and how it may, or may not, be helpful in communicating to those outside that community. To further engage the military student in sociology, the sociology curriculum may be expanded to include courses specifically about the military. At UMUC, we offer upper-level undergraduate courses including “Military Sociology” and “Women in the Military,” in which sociological perspectives of the military are explored. In the military culture, education is a top priority from both a mission-ready and a funding perspective. Military students are motivated and eager to learn. Through application of these tips and “best practices,” teaching and learning of military students in distance education can be enhanced, promoting student engagement and student success. Moon, Tracey L. and Geraldine A. Schma . 2011. “A Proactive Approach to Serving Military and Veteran Students.” New Directions for Higher Education, 153(Spring 2011):53-60. Published online in Wiley Online Library http://dx.doi.org/10.1002/he.426. Knowles, Malcolm . 1980. The Modern Practice of Adult Education: From Pedagogy to Andragogy. 2nd ed. New York: Cambridge Books.